Chinese take over all business sectors in Kenya including brothels - Bana Kenya News, Real African Network Tubanane. From China to Kenya only to come and do prostitution. Chinese in South C were arrested today for setting up an illegal business. The Chinese which later was deported found at a mansion in South operating a brothel. Kenyans on twitter took the Kenyan government claiming that the Chinese have taken all the businesses from Prostitution to hawking and engineering. They also cautioned the president not accept them in the security forces because it seems like that will be the next move. Chinese nationals have been arrested in Nairobi on suspicion that they were engaging in prostitution. "These guys live in one apartment, ten Chinese individuals. All they do is gamble at the various casinos around Hurlingham and Yaya," Twitter user Roy Churchill said. "From Yongli, to Golden Dragon, to Finix, Topstar casinos just a few to mention," he added. According to the Immigration Department, the foreigners were discovered at a brothel in South C estate. “They are being processed for deportation,” a tweet from the Immigration Department reads. “The Kenyan Penal Code does not criminalise s£x work. However, it criminalises third parties who live on the earnings of prostitution. The Penal Code defines two types of offences with respect to s£x work, namely “living on the earnings of prostitution” and “soliciting or importuning for immoral purposes,” a report from the Kenya Legal & Ethical Issues Network on HIV and AIDS (KELIN) reads. The arrest of the 15 Chinese nationals comes just days after another arrest and deportation of a man who was caught on video in a racist rant on Kenyans. The Chinese embassy later released a statement saying the sentiments from Liu Jiaqi did not represent their own. 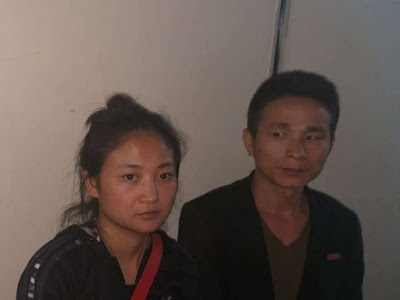 The government through the immigration office has given it a statement saying the duo were deported and another Chinese couple is on a manhunt. The deportation came after other Chinese were found guilty for insulting the Kenyans and President Uhuru Kenyatta.